Amy Craighead re Beth Moore “Living Proof” event coming to University of Missouri basketball arena! 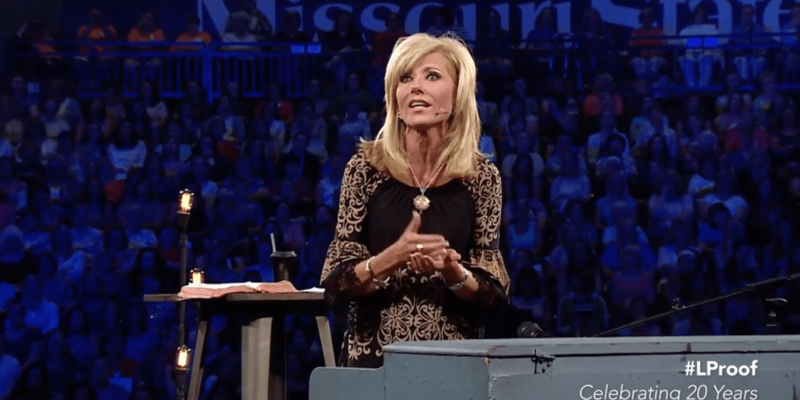 Planning team member Amy Craighead provides an overview of Inspirational Beth Moore coming to the University of Missouri (basketball) arena July 13 & 14, 2018. Thousands are expected! On the Beth Moore 2018 Missouri planning team, Amy Craighead provides us an overview of a wonderful Friday evening and Saturday till noon event! With my awesome wife, Joan, sitting across the desk from me during the recording with Amy – and with Amy on the phone — I realized that I was blessed to be surrounded by two fine country girls! Joan grew up on a wheat and cattle farm in Western Oklahoma (near Weatherford), and Amy lives with her husband and two children on a “blueberry and blackberry ‘u-pick-em’” farm (with no thorns … really!) near Fulton, MO, close to Columbia and Jefferson City. Sounds like fun … and sounds delicious. We are also invited to visit. See www.danamayfarm.com.